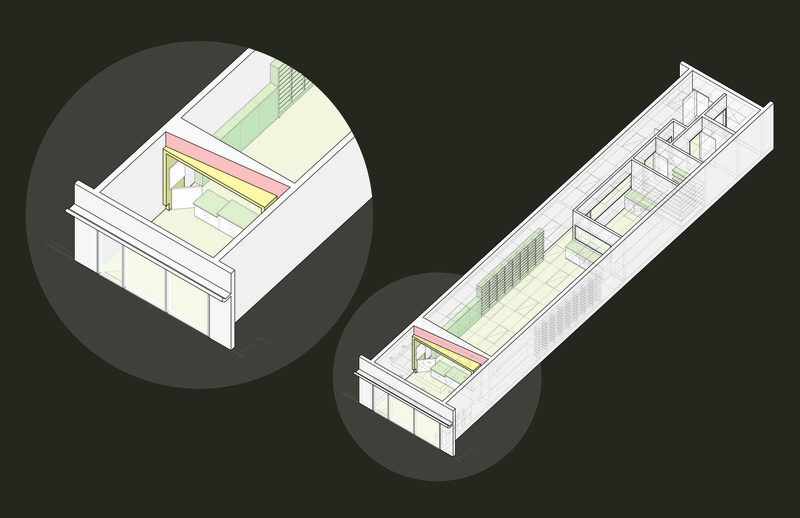 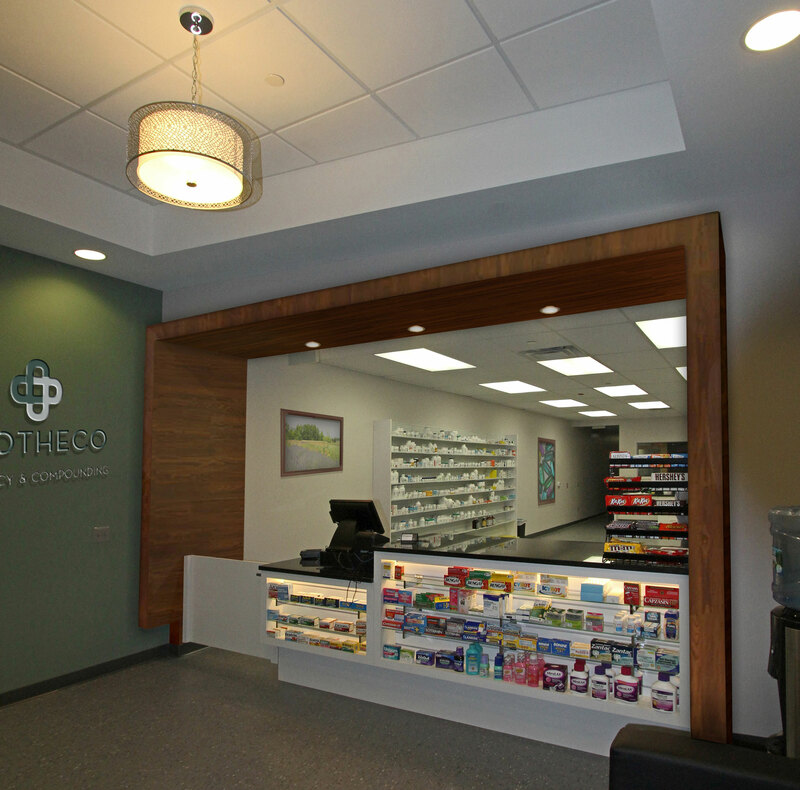 The Ives Architecture Studio was proud to design the Pharmacy for the medical facility at 1225 McBride in Woodland Park. 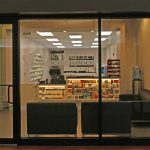 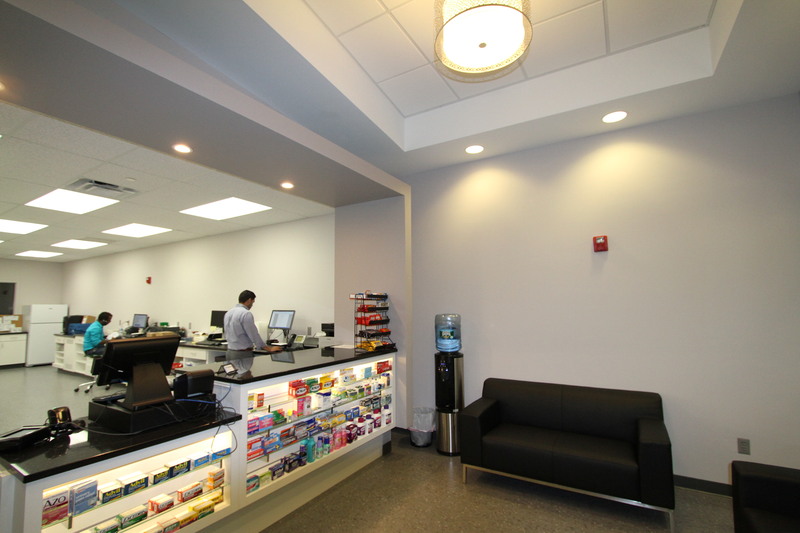 As the building architects, we were introduced to the new tenant –the Passaic Valley Medical Pharmacy – and were then chosen to fit out their new facility. 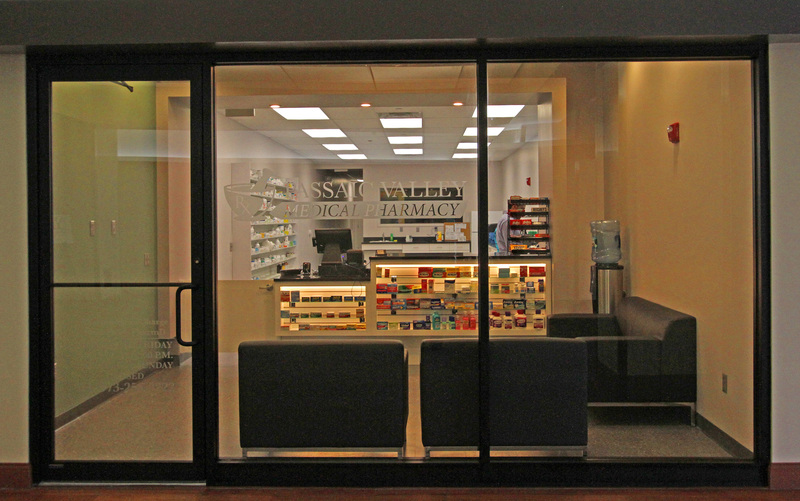 The much needed pharmacy serves the hundreds of patients receiving medical care in the building on a daily basis. 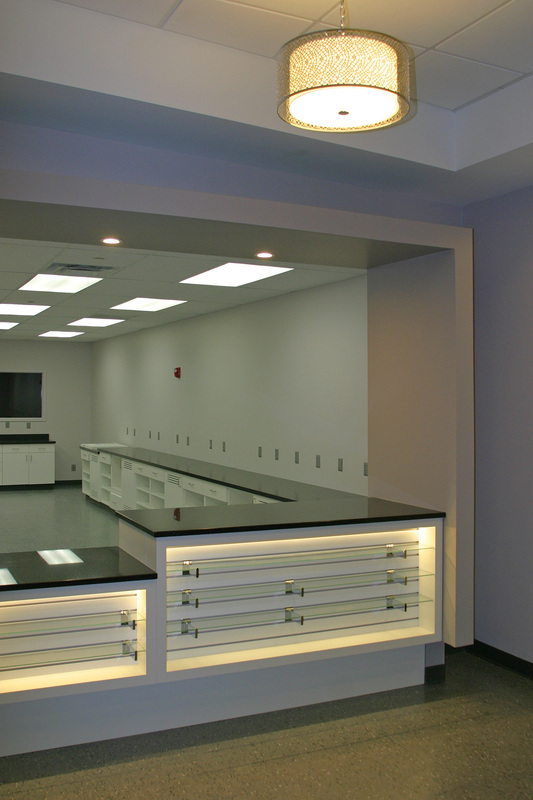 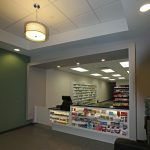 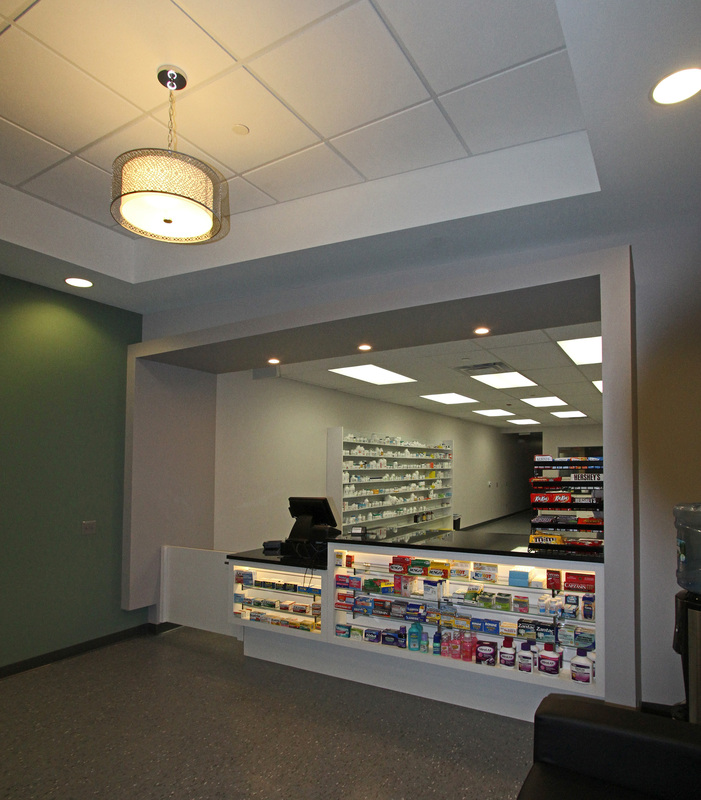 Pharmaceutical dispensaries in the State of New Jersey have to meet stringent guidelines for handling drugs and customer interaction, and the TIAS design team was able to work with the client’s operation’s chief to fit the facility into the relatively small space while achieving an inviting waiting and transaction area. 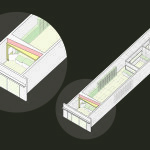 The glass façade opens to the lobby area, while a floating box highlights the transaction counter. 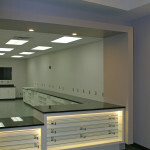 A ‘clean room’ at the rear of the working area allows the technician to see to waiting area if a new customer arrives.